Brilliant clear color. Aromas of plantain peel and flesh, galangal, banana nut bran muffin, water chestnut pressed linen, and grass with a satiny, lively, dry-yet-fruity full body and a warming, nuanced, very long zucchini bread with chestnut honey, pink peppercorns, nut brittle, and minerals finish. A vivacious and tasty baijiu for all occasions. 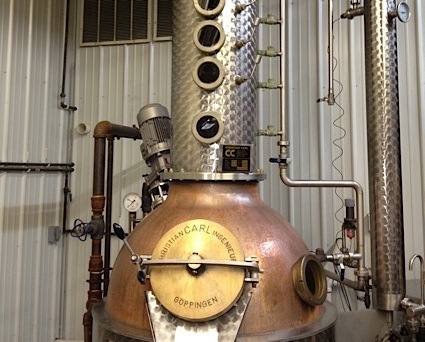 Bottom Line: A vivacious and tasty baijiu for all occasions. 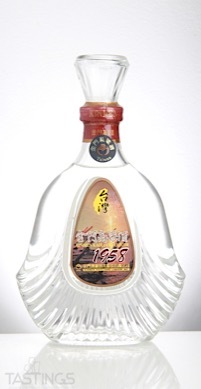 Kinmen Kinmen Kaoliang Liquor 1958 rating was calculated by tastings.com to be 93 points out of 100 on 1/9/2018. Please note that MSRP may have changed since the date of our review.